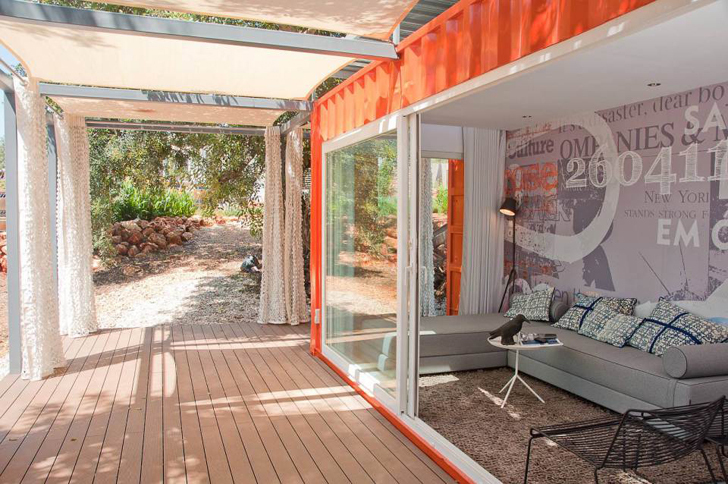 There’s nothing quite like a good makeover, especially if involves making a tiny home out of recycled shipping containers. 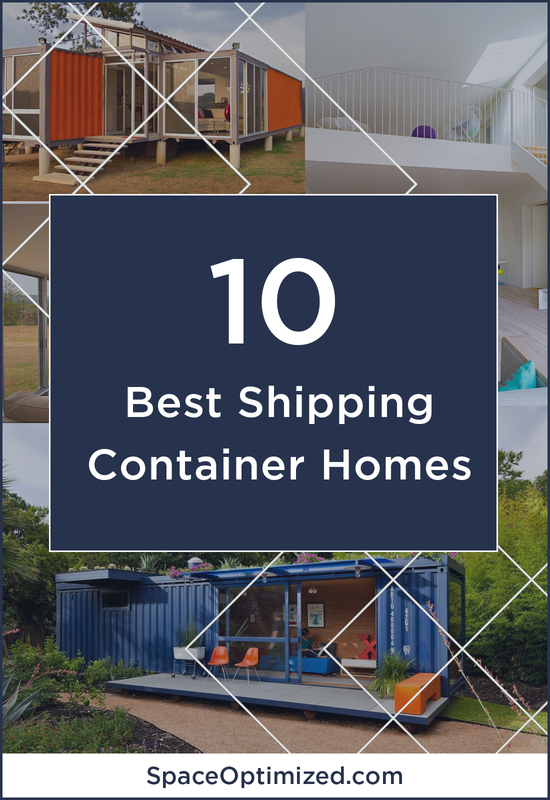 At a glance, shipping containers look nothing more than a bunch of giants, rusty boxes but with a little ingenuity, they make a surprisingly cozy home. 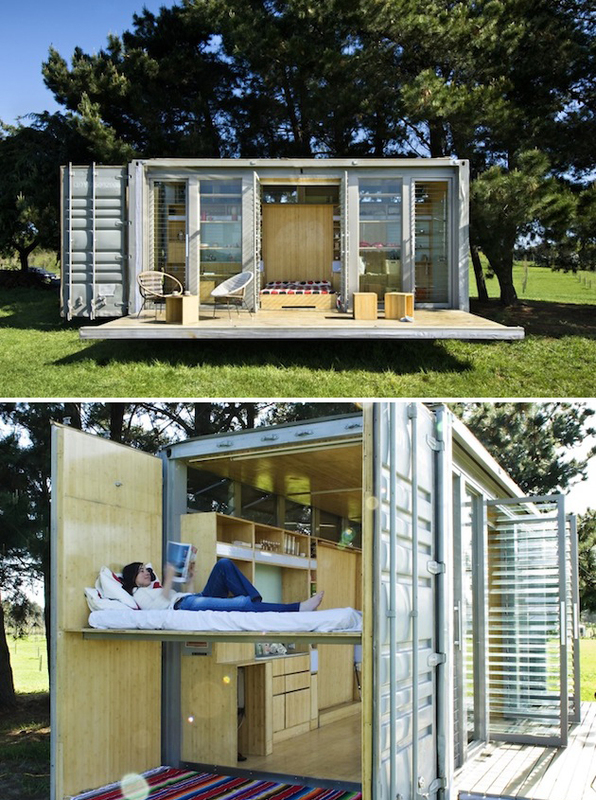 The concept of shipping container homes is aimed at developing sustainable building and construction. It’s a bizarre idea, turning a chunk of metal into a livable space, but thankfully, there are great designers and architects who were able to pull off the impossible. The Nomad Living guest house is made from a single 40-foot shipping container, providing about 320 square feet of floor space. Don’t be fooled by the size of this tiny home, the Nomad Living guest house has a dining area, a living room, and a bedroom. There’s also a small bathroom at one end of the residence. It doesn’t have a kitchen since it’s a guest house but there is an outdoor kitchen beside the structure. 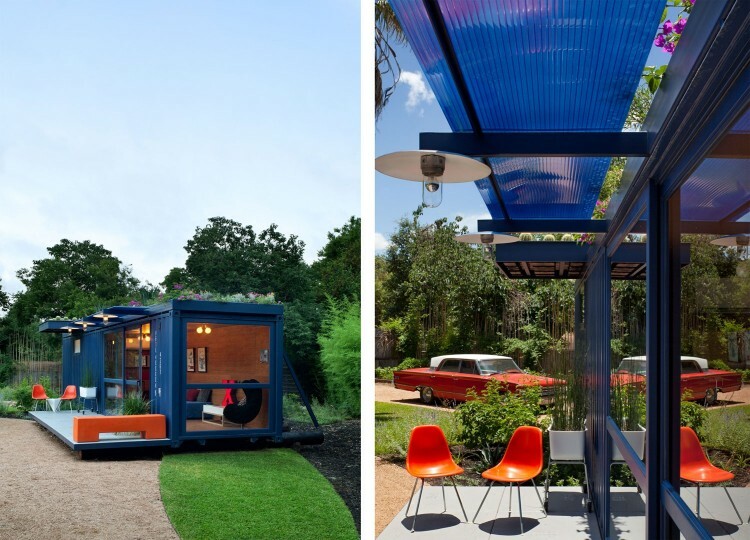 The Uber 360 is a Houston shipping home made from a single 45-foot shipping container. The 360 square feet residence may look diminutive but it comes with loads of features, including a full-sized kitchen and bathroom, a Jacuzzi, and a balcony. Designed by Numen Development, the Uber 360 is meant to make the small space look and feel larger than it really is. Thanks to its space efficient design and furnishings, the Uber 360 offers all the luxuries of a regular home! Inspired by Nordic architectural values, the WFH house is a super-sized shipping container home that offers 1,937 square feet of living space. Designed by Danish architectural studio Arcgency, the WFH features airy open spaces, high ceilings, and an abundance of natural light. 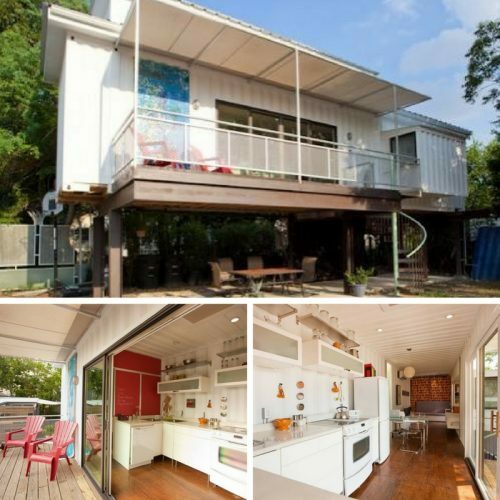 The shipping containers are stacked together to create a multi-level home. It has a living room, a kitchen, and 4 rooms used as bedrooms, entertainment rooms, and workspaces. 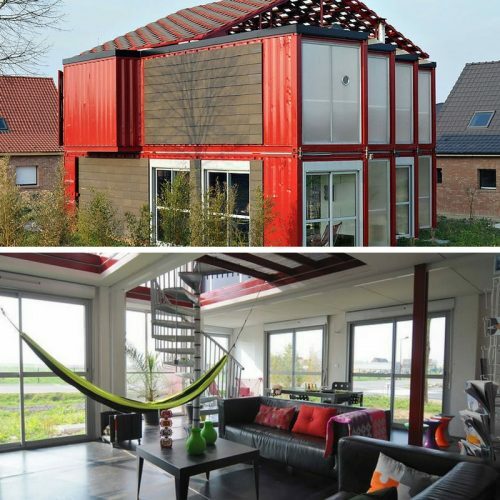 Designed by French architect Patrick Partouche, the Maison Container project is a 2-storey home made from 8 shipping containers. This 2,240 square foot contemporary dwelling took just 3 days to build with a budget of €221,000. Inside the Maison container home is a sizable living area surrounded by large glass walls for uninterrupted views of the surrounding landscapes. The residence has 3 bedrooms, a full kitchen, dining area, and a patio. 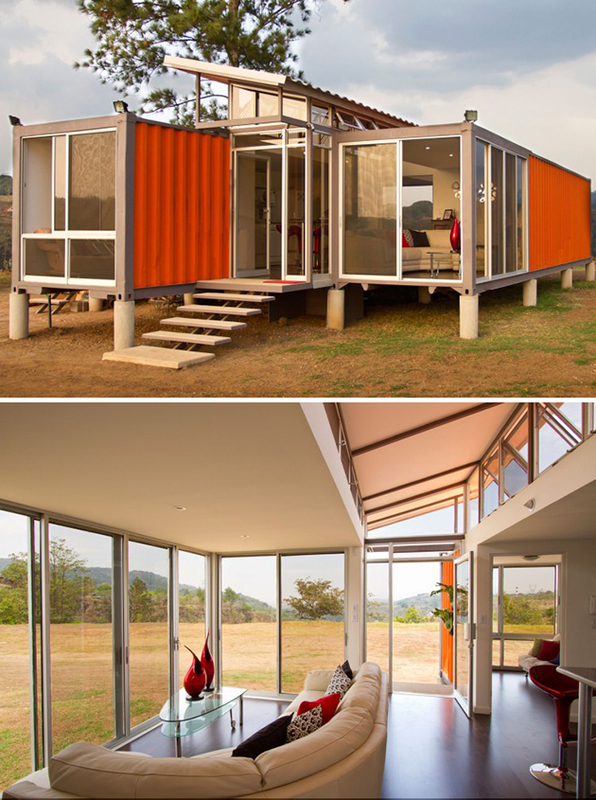 Designed by Benjamin Garcia Saxe, this $40,000 Costa Rican residence is comprised of two, 40-foot long shipping containers fused together to provide 1,000 square feet of living space. The home’s central hallway is fitted with an elevated roof for better ventilation. The Containers of Hope Residence features open spaces and huge glass windows for stunning views of the mountain range beyond. The Bley Sleeping container home is a sleek, contemporary dwelling designed by A.Gruppo Architects. Initially, the house only had 400 square feet of living space. 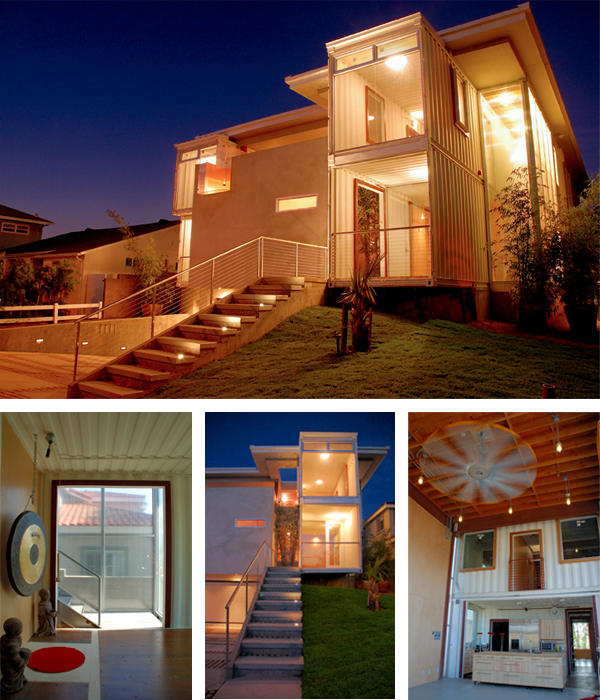 After its 2011 renovation, 950 square feet worth of living space was added. Despite its compact asymmetrical composition, the Bley shipping container home is positively palatial. Inside, the Bley Sleeping Container home features white walls paired with natural wood accents. The two-floor house has all the trappings of a traditional home, including a master bedroom, a home office, a tiny library, a mudroom, and a patio. 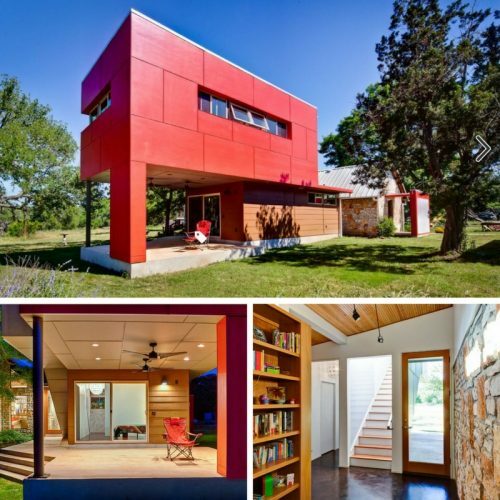 The Manifesto House is a 1,722-foot eco home made from three recycled steel containers. 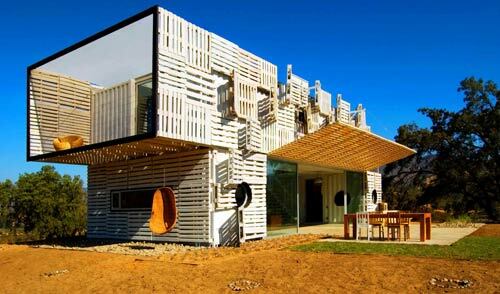 The eye-catching exterior is made from slatted wood to conceal the outer shells of the shipping containers. 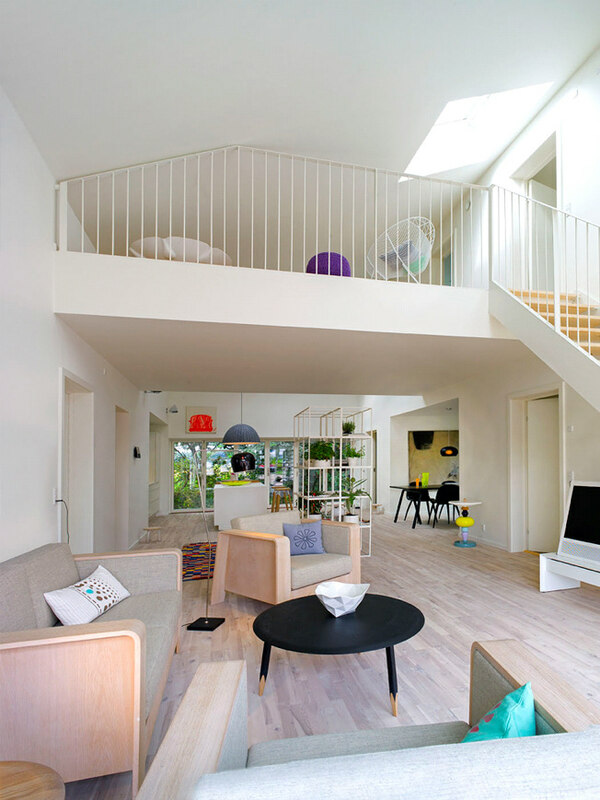 This eco-friendly home was designed by James & Mau Arquitectura in partnership with Infiniski. 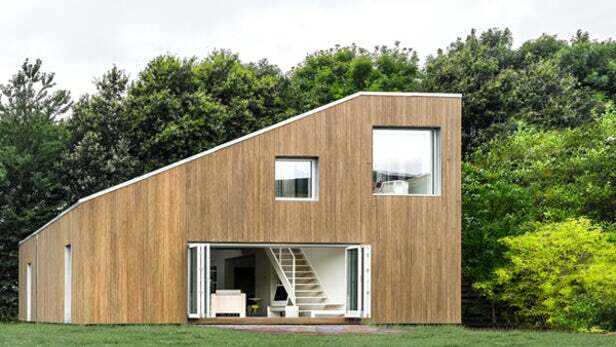 The Manifesto house features bioclimatic architecture and a modular design so it was built quickly and cheaply. 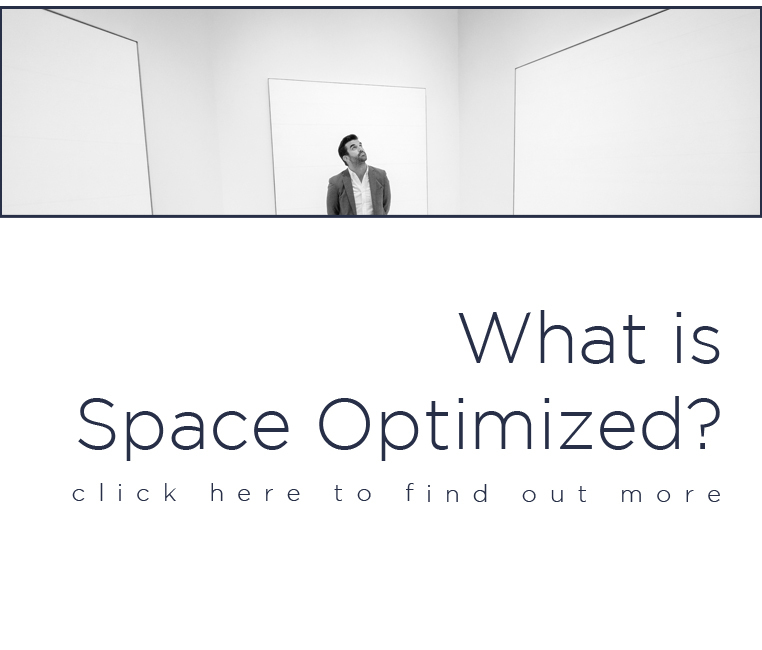 The modular system allows for future customization or room enlargements to meet the changing needs of the household. The 2-level home boasts of a natural ventilation system, external solar covers on walls and roof, a sizable bedroom and a dining area. 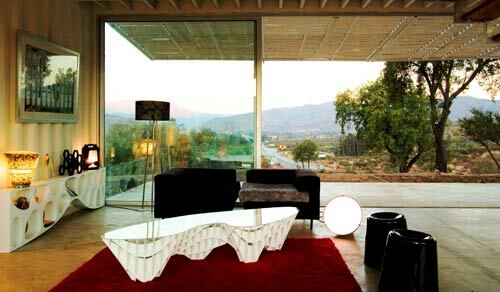 The walls of the living area, which is made from wooden panels, could be pulled up to reveal the stunning views beyond. Designed by DeMaria Design in partnership with Logical Home, the Redondo Beach house features an artist studio, a master’s bedroom, and a sleek living area with 20-foot ceilings. It also comes with a swimming pool, natural ventilation, and a patio. The glass pane windows offer a glorious view of the big blue. 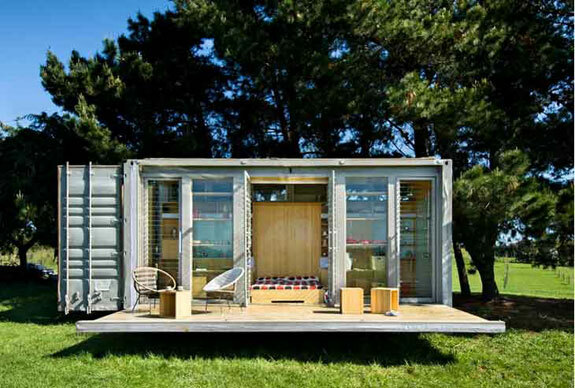 This tiny holiday home is a portable – not to mention affordable – container dwelling designed by Atelierworkshop. It’s the perfect vacation home for a small family. It features a cozy sleeping area suitable for two adults and two children, as well as an airy living area, kitchen, and bathroom. The entire dwelling folds and unfolds, revealing a beautiful deck. This modest single floor guest house is an eye-catcher with its boxy design and navy exterior. 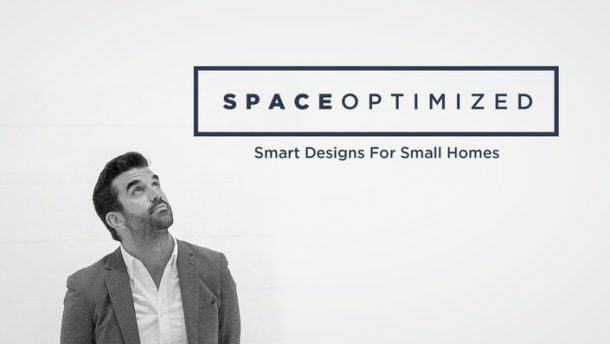 Designed with minimalist aesthetics in mind, this tiny dwelling offers 320 feet of living space. It has a modest living area, a patio, and a shower area. The walls and flooring are made from repurposed bamboo while the roof has a tiny garden to help regulate the indoor temperature. The interior is insulated with spray foam and lined with bamboo panels to keep the home cool and cozy despite the heat. 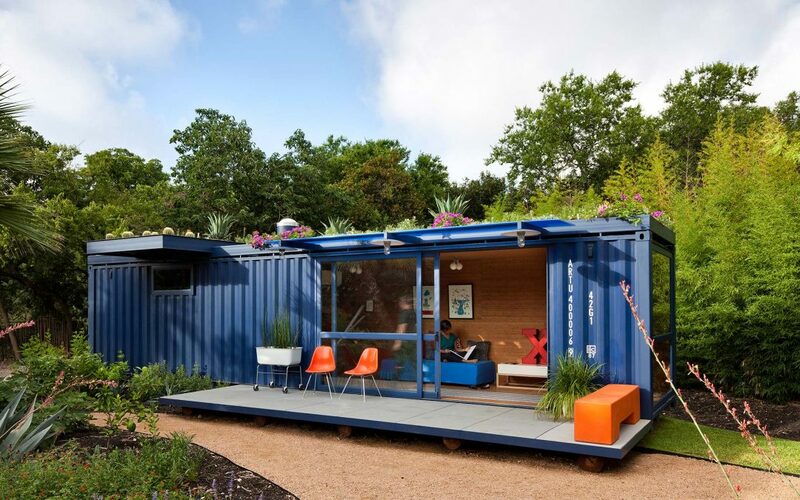 The container home also “floats” on a foundation of repurposed telephone poles.